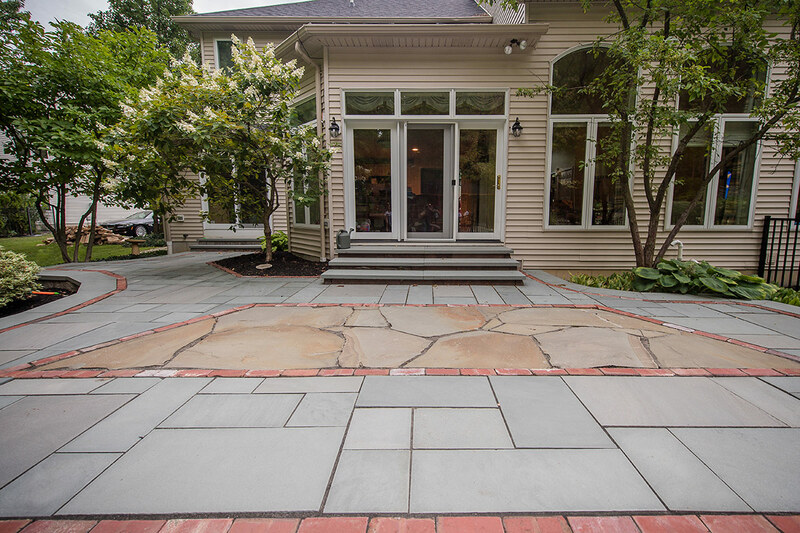 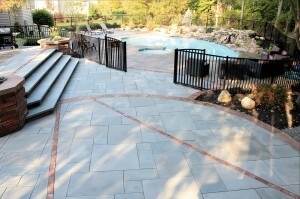 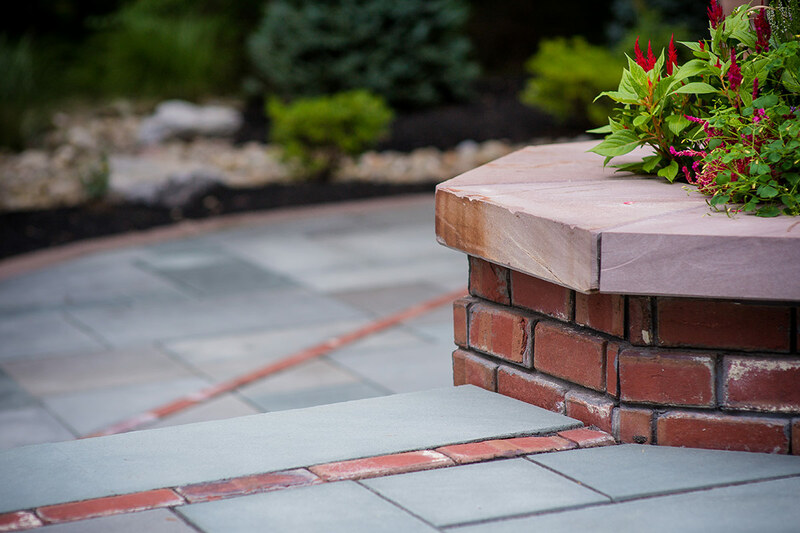 A multi-level patio of reclaimed brick pavers and Pennsylvania select blue flagstone surround the pool area. 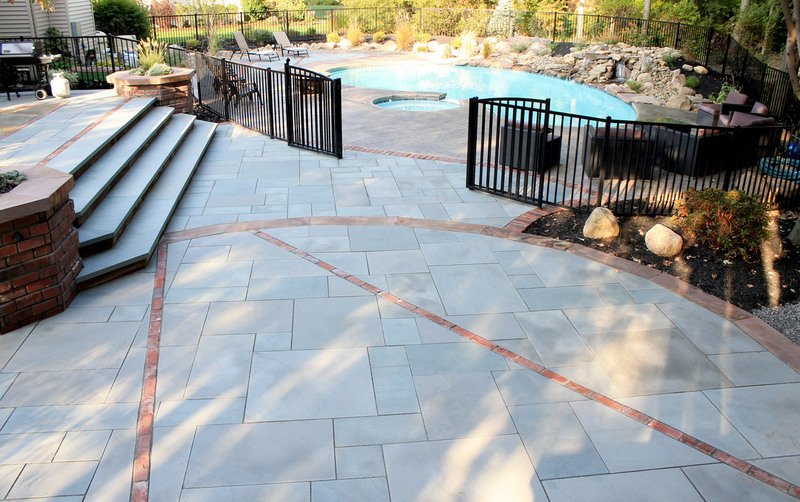 A multi-level patio of reclaimed brick pavers and Pennsylvania select blue flagstone surround the pool area, which is accented by landscaping. 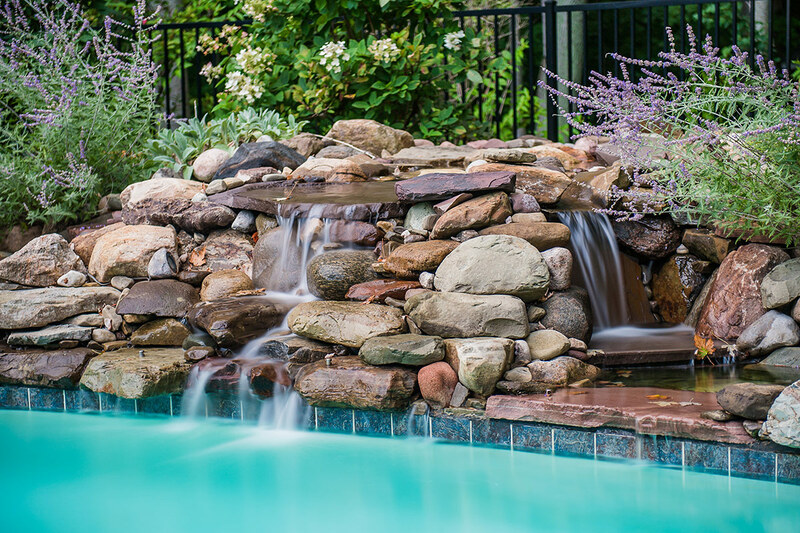 A large water feature bubbles into the pool, built with oversize river rock. 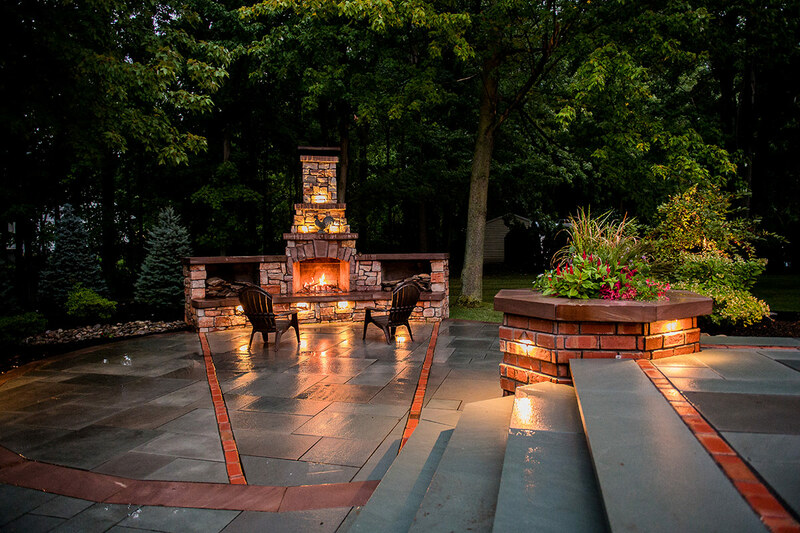 After dusk, the entire area is lit with low-voltage accent lights, seamlessly incorporated into the overall design. 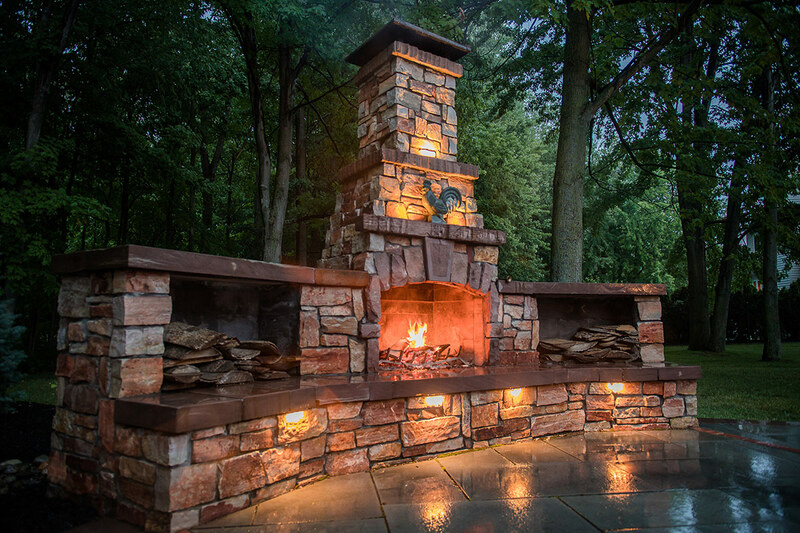 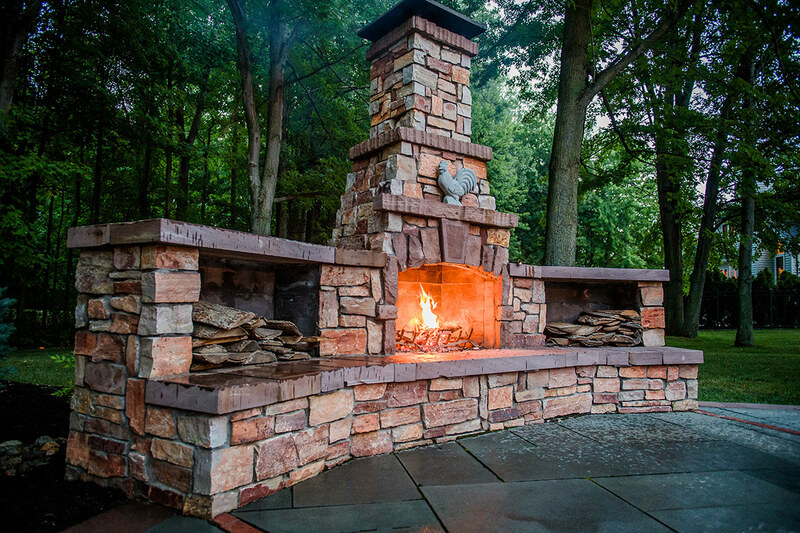 The entire patio area is highlighted by a dramatic, over-size natural stone veneer outdoor fireplace, complete with hearth, wood boxes and capped with a copper accent. 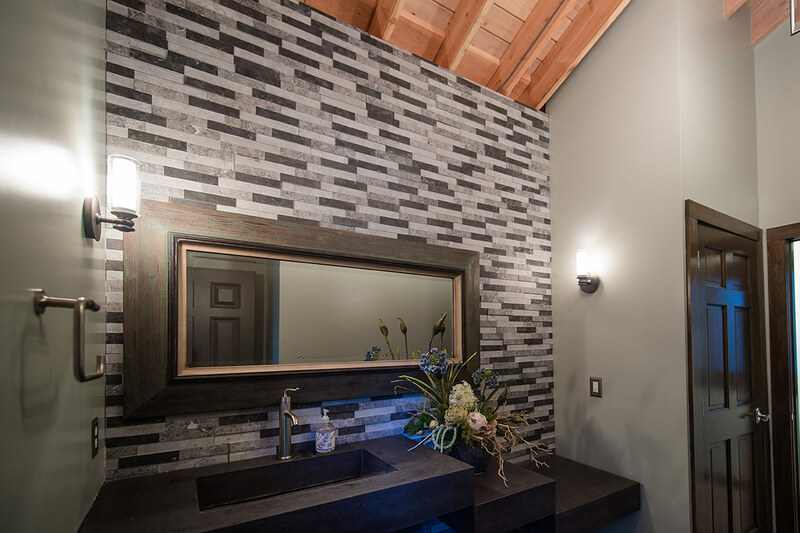 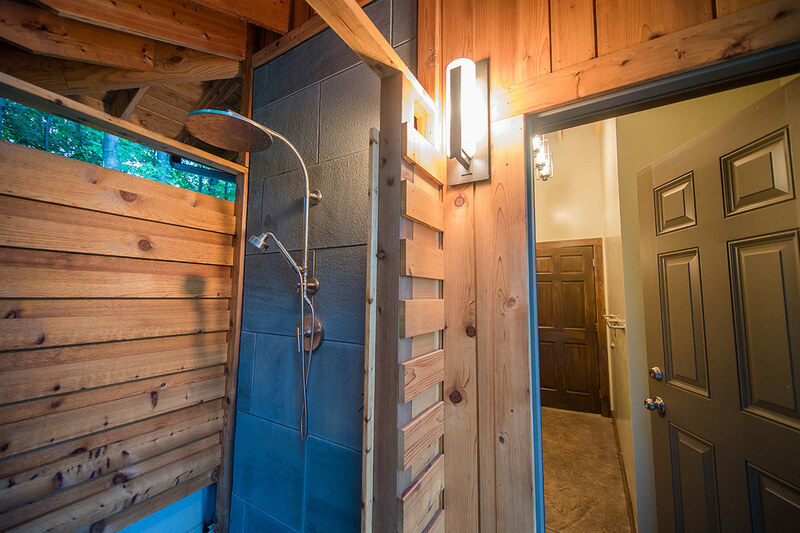 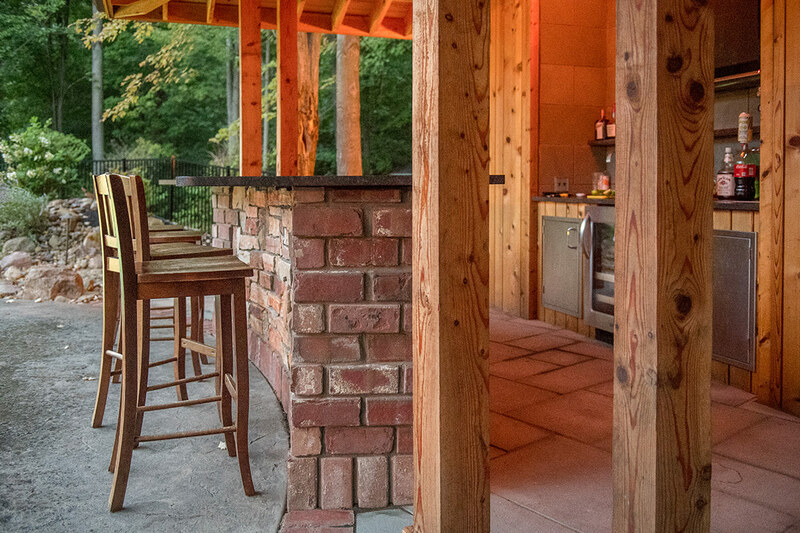 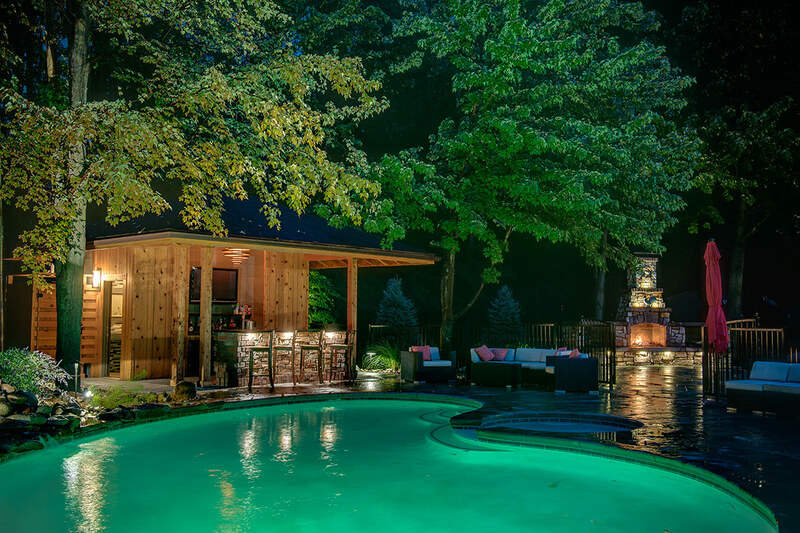 The pool house features an outdoor bar built with reclaimed brick, cedar wood posts, exposed beams, and blue stone veneer outdoor shower and back bar. 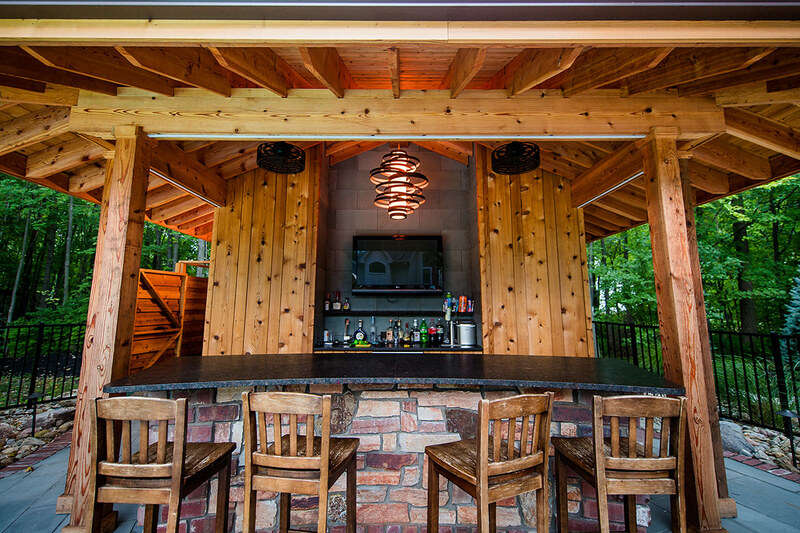 We installed full plumbing and electric to accommodate a large flat screen tv and kegerator. 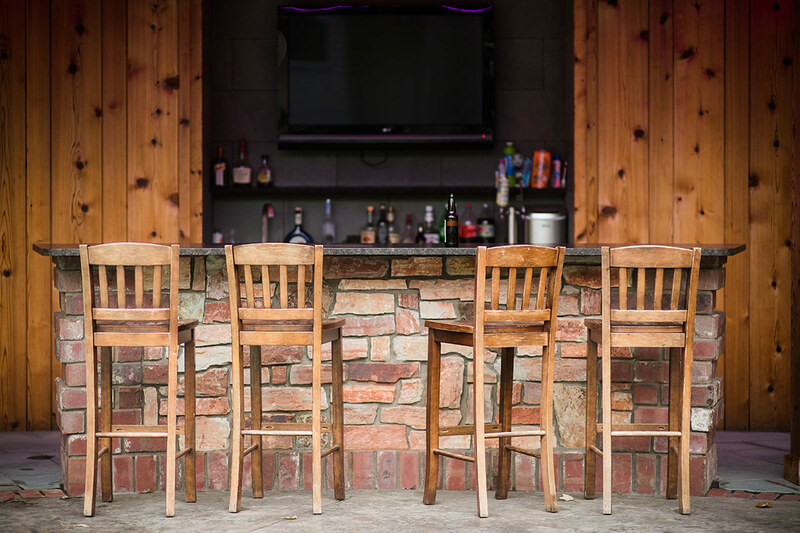 The bar welcomes guests with leathered granite countertops, built in low-voltage lighting, and back bar stone shelving.